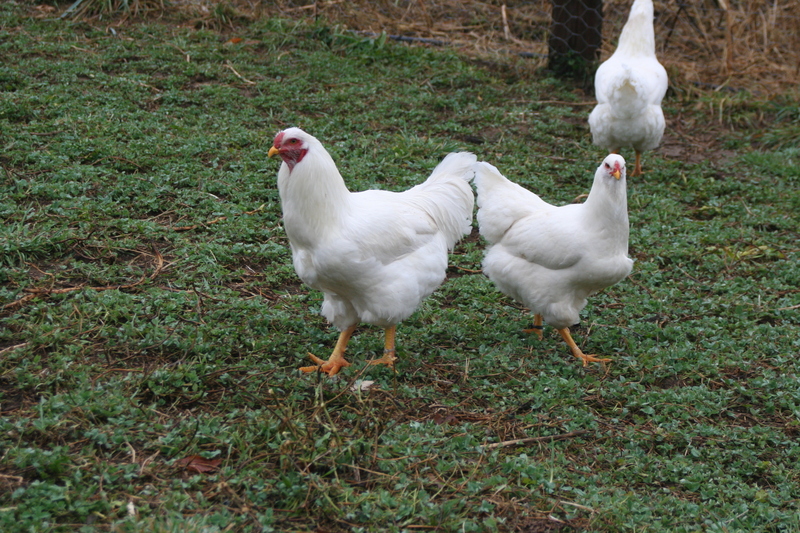 Canadian in origins, the Chantecler is the first chicken breed that was bred in this country. They have several things for which they are very valued: the meat, the eggs and the fine looks. 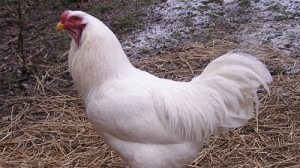 Because of the latter, Chantecler chicken is considered a tri-purpose breed, having the show qualities as an extra bonus compared to the dual-duty breeds. The Chantecler chickens are well mannered birds, friendly in nature and doing quite well in cooler climate regions. Despite the high quality of the meat, especially the thigh and the breast parts, along with their excellent egg laying abilities (up to two hundred eggs per annum), the Chantecler is also an imposing presence in bird shows. They grow quite quickly in exchange of low to moderate food intake. This breed has two varieties: the partridge and the white. 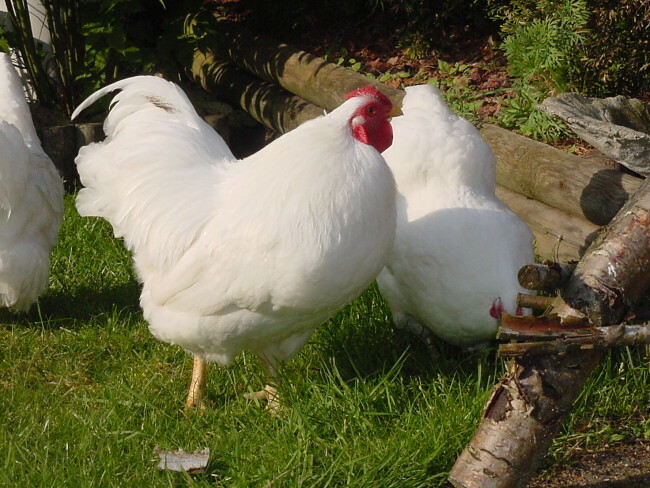 The chickens in the Chantecler breed have a bit elongated bodies, while they still remain compact. Small as they may appear initially, they are quite powerful birds, also endowed with an also powerful beak, curved in shape and which can vary in color from dark at the partridge variety chickens to yellow in white birds. A pair of red-brown eyes, emphasized by the red face layout fit well in the wide, short head of these chickens. The neck sustaining this head is quite heavily feathered. The Chanteclers carry their medium in length tails above horizontal. Small wattles and also small combs, along with the long, yellow legs come to complete the picture of the Chantecler. The roots of this breed are identified in Canada, more precisely the Province of Quebec. The initial breeders’ goal was to produce a highly energetic chicken breed, with small wattles and comb that along with a thick plumage would ensure an increased resistance to cooler weather conditions, especially during winter. Very early in the twentieth century, two mixes took place. 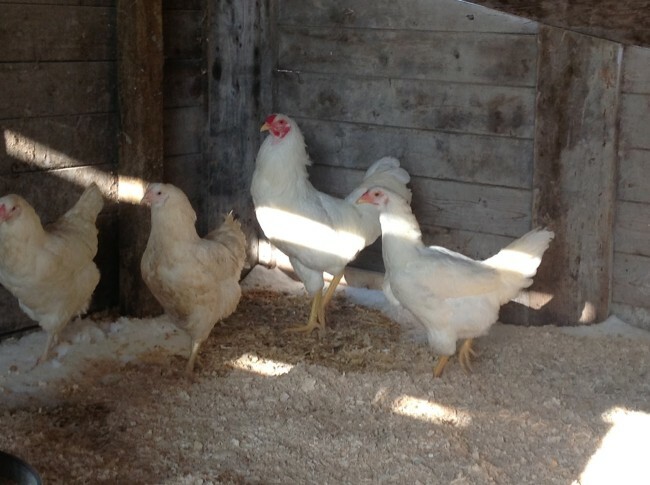 One between a White Leghorn female and a Cornish male, the other between a White Wyandotte female and a Rhode Island male. The female chicks from the first mating were then mixed with the males from the second. The resulting chicks were then mated further with a White Plymouth Rock male which finally led to the birth of the Chantecler.